R&B singer and songwriter Don Covay has died in a New York hospital at the age of 76. His songs were performed by the Rolling Stones, Otis Redding and Aretha Franklin. Don Covay’s daughter, Ursula, confirmed the singer’s death to The Washington Post. He died in a New York hospital earlier this week from complications following a stroke. Don Covay gave Aretha Franklin one of her biggest hits with Chain of Fools in 1968, a song he had written 15 years earlier. His singing style also influenced Mick Jagger, as seen in the Rolling Stones cover of his song Mercy Mercy. Don Covay started out in music in a gospel group with his siblings at school, before joining doo-wop group Rainbows. While trying to make it as a solo artist and singer-songwriter he spent time as Little Richard’s chauffeur and warm-up act. Don Covay’s first chart hit came in 1961 with Pony Time. The track, however, became an even bigger hit when Chubby Checker recorded his own version a year later in 1962, topping the pop and R&B charts. This pattern continued with his song Mercy Mercy, which he recorded in 1964 with a then-unknown Jimi Hendrix on guitar, which went into the top 40. A year later the Rolling Stones recorded their own version for their album Out of Our Heads, causing many to point out the similarity in singing styles between Mick Jagger and Don Covay. 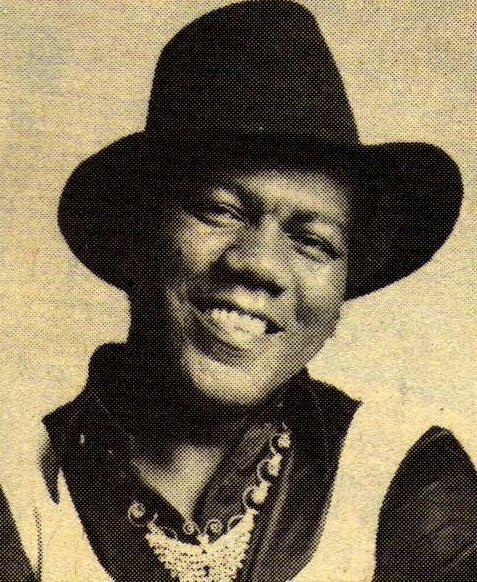 While working as a songwriter at the Brill Building in New York, Don Covay wrote for artists including Gladys Knight and the Pips, Wilson Pickett and Solomon Burke. He was also part of the short-lived group the Soul Clan which featured Burke, Joe Tex, Ben E King and Arthur Conley. His work has been covered by a wide variety of artists including Gene Vincent, Connie Francis, Steppenwolf, Bobby Womack and the Small Faces. Don Covay suffered a stroke in 1992 and a year later stars including Ronnie Wood, Iggy Pop and Todd Rundgren produced a tribute album entitled Back to the Streets: Celebrating the Music of Don Covay. After a gap of 23 years, Don Covay released his last album Ad Lib in 2000, which featured Rolling Stones guitarists Ronnie Woods and Keith Richards, Bad Company vocalist Paul Rodgers, Wilson Pickett, Syl Johnson and Huey Lewis.